Mohitos are great spring and summer drinks and of course are great to serve at a party! The mojito was born in Havana, Cuba. 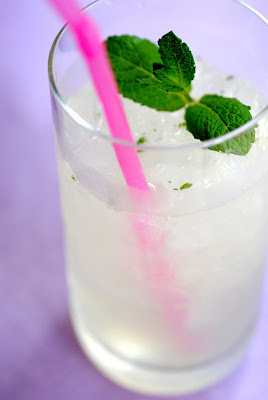 Traditional mojitos are made with mint, rum, powdered sugar, lime, and club soda. Here are a couple of different recipes for other types of mojitos.